You will raise any setting's ambience to new heights with the Apogee collection. Apogee's blend of contours and arcs stimulates the soul and relaxes the body. 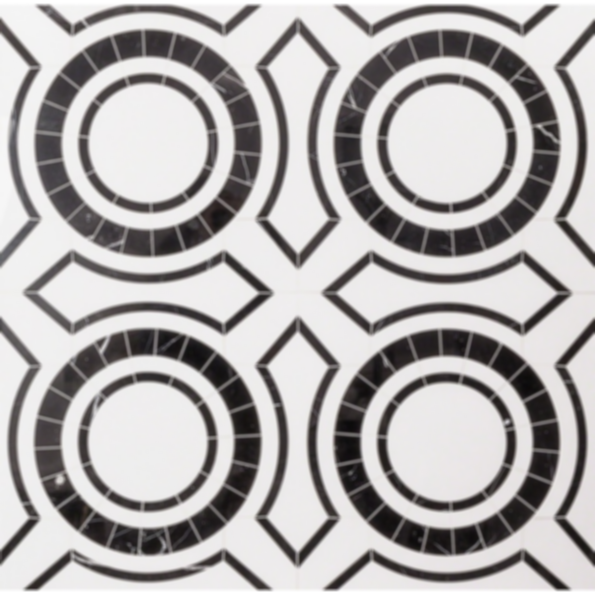 The artisanal allure of marble in harmonic hues emphasizes the embedded "x's" & "o's" pattern. Contemporary and modern have never looked so good together. Apogee is available in Tennessee Taupe, Black Jade, Calacatta, and Asian Statuary. Sheet Size: 19.75" x 19.62"